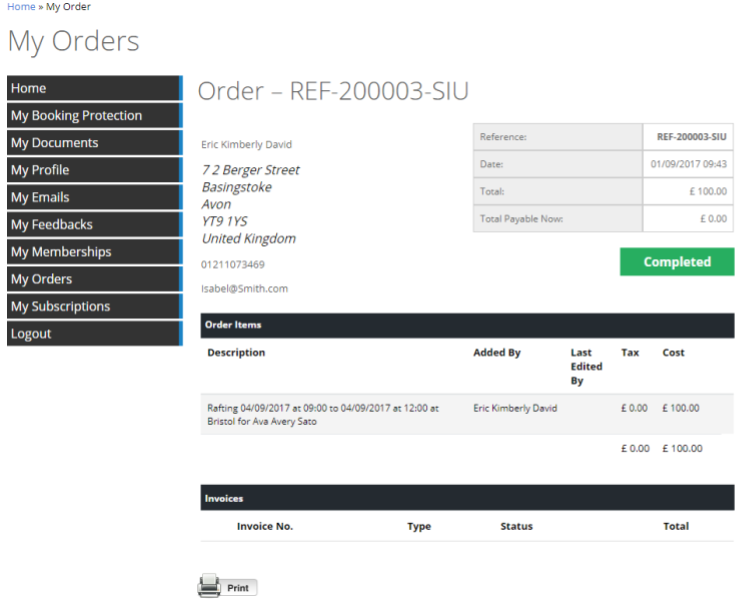 The orders section of the My Account allows the customer to be able to view any Orders they have made, either by themselves or via Admin Orders. It is also possible to set permissions for customer to be able to Cancel their own orders. Additionally, if there is an Outstanding Balance against an Order, then the Customer can view the Order, and make a payment against the Order.